Why the name: Dar es Salaam? 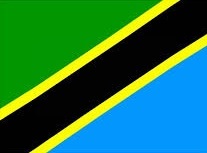 Formerly Mzizima or ‘the healthy town‘ in Kiswahili, Dar es Salaam is Tanzania‘s largest and richest city today. It is a regional important economic center. In the 19th century, it was a coastal fishing village on the periphery of the Indian ocean trade routes. In 1865, Sultan Majid bin Said of Zanzibar began building a city near Mzizima, and named it Dar es Salaam or harbor/haven of peace with Dar in Arabic meaning house, and es salaam meaning peace. Dar es Salaam fell into decline after Sultan Majid’s death in 1870, but was revived in 1887 when the German East Africa Company established a station there. The town’s growth was facilitated by its role as the administrative and commercial centre of German East Africa and industrial expansion resulting from the construction of the Central Railway Line in the early 1900s. As Germany lost World War I, German East Africa was captured by the British and from then on was referred to as Tanganyika. Dar es Salaam was retained as the territory’s administrative and commercial centre. Under British indirect rule, separate European (e.g., Oyster Bay) and African (e.g., Kariakoo and Ilala) areas developed at a distance from the city center. The town’s population also included a large number of south Asians. 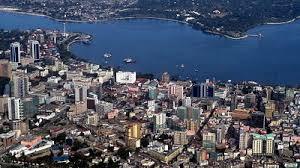 After World War II, Dar es Salaam experienced a period of rapid growth including political development with the formation of the Tanganyika African National Union or TANU which will lead Tanganyika to independence from British rule in 1961. 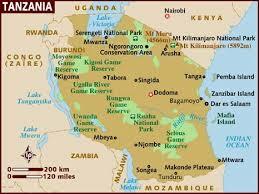 Dar es Salaam, once the capital of Tanzania, lost its status of capital city to Dodoma in 1974. Please enjoy the singer Momba who sings Dar es Salaam, and feel at peace in this haven. « Pourquoi la hyène a t-elle le pelage rayé? Much much respect for putting up all this information in such an great way.